Our Technicians are Award Winners! Waiting to schedule your AC services could leave you in quite a tricky situation. Of course, the summer heat will leave you longing for relief, but operating an inefficient system could spell serious trouble both for the AC itself and your budget. During your pre-season maintenance visit, your HVAC technician will make minor adjustments to ensure that your system is efficient and effective. In fact, it has been estimated that your AC loses 5% of its energy efficiency every year that it misses maintenance. Regularly scheduled maintenance can keep your system operating up to 95% of its initial efficiency. The last thing that you would want during a hot summer is a faulty air conditioning. A broken AC could leave you feeling quite uncomfortable, especially when temperatures soar well into the 90s. This is why it is so important to remain proactive and schedule your AC services now. Pre-season AC maintenance ensures that your system is reliable, able to get you through even the hottest heatwave. Don’t sacrifice your comfort for a faulty AC. Schedule now to get the most out of your system. Far too many homeowners wait until the last minute to schedule their annual inspection and tune-up. This leaves HVAC technicians scrambling to answer dozens of service calls. Though this is great for business, it makes scheduling your services quite difficult. When you schedule pre-season maintenance, it’ll much easier that finds a time that works best for your schedule. In addition, early services leaves plenty of time for technicians to complete repairs before the cooling season actually begins. Be sure to schedule your air conditioning maintenance with a professional. Only a professional HVAC technician has the knowledge, training, and experience to ensure that your air conditioner is working safely and correctly. 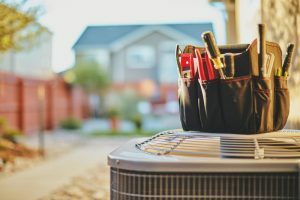 Of course, there are going to be plenty of amateurs willing to service your AC, however, sometimes an attempt to save money can end up costing you much more in the long run. Hire a professional to make sure the job is done right the first time. Trust us, it’ll save you money! To schedule your pre-season air conditioning maintenance services, contact the team at Mack Morris Heating & Air Conditioning.